For most of my adult life I have enjoyed the Portuguese wines known as Port, fortified dessert wines. I would be more than satisfied if that were the only wine they made. But now I enjoy discovering the other great wines made in Portugal, especially in the Douro region. You know, the Portuguese were the first great explorers, so there is something poetic about wine explorers discovering the great dry table wines now being produced there. 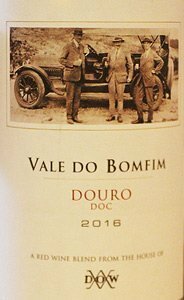 The Vale do Bomfim 2016 ($12-14) from the Douro region is a great example of the kind of wine coming from the region where great Port is produced. It is a deep ruby to purple in the glass with floral aromas complemented by some hints of peppery spice. On the palate you get plum and cherry flavors with a nice balance between fruit and acidity. It is a medium-bodied wine with a lingering aftertaste. This is a wine that will continue to develop in your cellar for another year or two, but it is made to be consumed young. I wouldn’t hang onto this for too long. Besides, it drinks so well now, you won’t want to keep it for long. 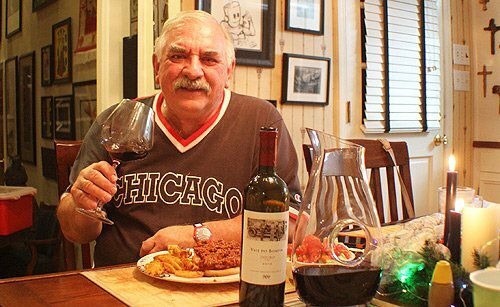 The Symington family that owns so many of the great Port houses first started making this wine for family friends and guests who came to the tasting rooms. But they received so many compliments they decided to make this a wine for everyone, starting in 2004. I’m glad they did. 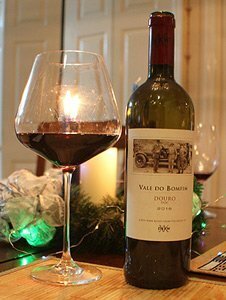 The grapes that go into the Vale do Bomfim are from the same Douro Valley vineyards that make the wonderful Dow Vintage Port, including the legendary Quinta do Bomfim. A field blend of local grapes makes up 40 percent of the grapes. Touriga Franca makes up 40 percent while Touriga Nacional makes up the other 20 percent. The grapes are sorted, de-stemmed and gently crushed. The fermentation temperatures and the maceration process, through pumping over and rack and return procedures, are closely monitored and adjusted for each individual fermentation, so that the wine can best reflect the innate quality and characteristics of the grapes earmarked for this wine. After fermentation in stainless steel tanks the wine spends nine months in oak. If you haven’t discovered the wines from Portugal, you should start paying attention. The sweet, fortified dessert wines known as Port are like nothing else produced in the world. They are perfect for grand dinners or for cozy nights around a fireplace. I will write about one or two of those soon. The big surprise for longtime wine drinkers are the red and white table wines. Dry wines from the rugged slopes of the Douro Valley (home of Port) are winning respect for their quality and value. Portuguese wines are fun to explore because Portugal has more than 250 indigenous varieties. We don’t get a lot of their wines here, but when you can find some you owe it to yourself to try them. The availability and quality have been going up since the 1990s. No one is saying it, but I suspect global warming has made it easier to produce fully ripe grapes in the Douro, and thus made table wines more practical to produce. Prices vary widely, but there are still plenty of bargains under $20. I haven’t found a bad one yet, and I have been enjoying them for many years. There is some adventure to be had in exploring these wine. The Val do Bomfim is a great value wine. At this price you don’t expect a lot of depth and complexity, but this wine delivers. If you want to spend a little more money for an even better wine, you could try the 2015 Pombal do Vesuvio ($27-29). One of the great estates of the Douro Superior (the sub-region of the Douro farthest East) and home of some of the world’s finest Ports, it is also one of the region’s largest estates (336 acres under vine). This treasured quinta provides the fruit for Pombal do Vesuvio, a unique blend of three Portuguese grapes: Touriga Nacional, Touriga Nacional and Tinta Amarela. The first two provide the backbone and rich structure of the wine, while Tinta Amarela lends additional acidity and bright fruit aromas to this Douro red wine. Winery: Just when you think you know about a particular winery, things change. The Symington family has been in the Port trade since the 17th Century. They own four historic port houses: Graham’s, Cockburn’s, Dow’s and Warre’s. The family has had sole ownership of Dow’s since 1961, and also owns Quinta do Vesúvio, one of Portugal’s greatest vineyard estates. The Port houses owned by the Symington family make about a third of the wine in all premium Port categories. And now they are making great dinner wines as well. The fifth generation of the family has now joined the company, and through the current generation’s great grandmother, the family’s links to the wines of the Douro span 14 generations, to the very beginnings of the history of port. Andrew James Symington became a partner in Dow’s in 1912 and today five members of the family own and manage the property, and many others work in all areas of the company. The company was one of the first Port houses to own its own vineyards, and has established the largest vineyard holdings in Portugal. They spread throughout the Douro Valley and provide the backbone of their extraordinary wines. Vintage Port is still the heartbeat of the company. The Dow’s 2007 Vintage Port received a rare 100 points from Wine Spectator. Goes with: We had this wine with a simple weeknight dinner during the busy holiday period. I didn’t feel like cooking, but we were too busy to go out, so I made sloppy joes. I had never had sloppy joes until I went to college, and the cook in our fraternity made them all the time. I have loved this meal ever since. I have tried several different recipes, including making my own spice mix, but the best and easiest way is to use a package of spices mixed with a can of tomato paste, water and ground beef or turkey. I usually use McCormick, but get equally good results from house brands at Publix and Kroger. We had them with frozen waffle fries and salads. It was a feast and a great match for the wine. The Val do Bomfim also would be a good partner to an antipasto plate of salami, roasted bell peppers and intensely flavored cheese. It also would be good with a pasta dish of sweet fennel sausage and tomato over penne or rigatoni, pizza, beef tenderloin brochettes, spaghetti and Italian sausage or a wide variety of hard cheeses.